This is a fun activity that really gets students engaged, challenges their thinking, and allows for accountable math talk! 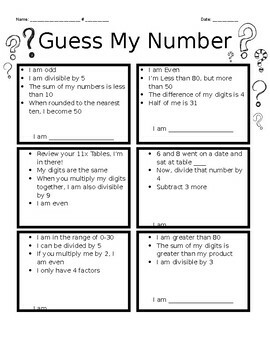 *Can be used as one of the math centers, small group, or done in a whole class! As they read through the clues, students can use their counters to narrow down which number it is!